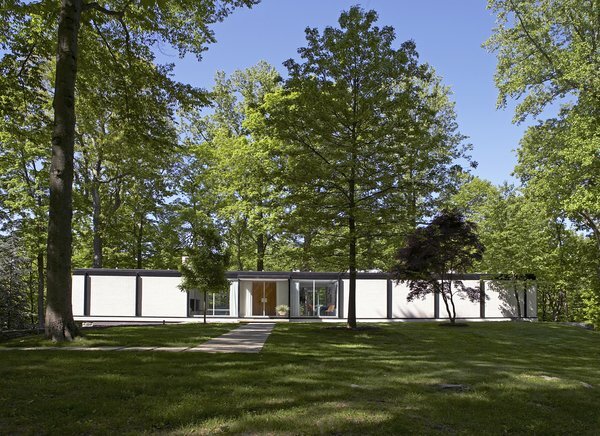 Designed by SOM architect Arthur Witthoefft and lauded in the pages of Dwell, the restored abode is a piece of history. 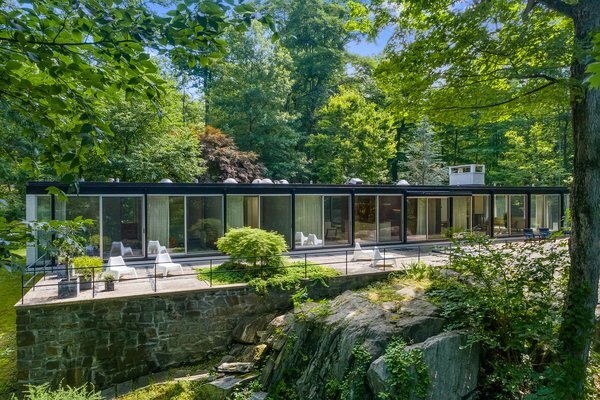 This 1957 home on 2.87 acres in Armonk, New York, was the personal residence of Arthur Witthoefft, an architect for renowned firm Skidmore, Owings & Merrill. Witthoefft won an AIA First Honor Award in 1962 for his design, and the home was listed on the Register of Historic Places in 2011 after a meticulous restoration profiled in Dwell. After Witthoefft sold the home, it was abandoned for years, accumulating severe damage in the process. When new homeowners sought to rescue the house in 2007 from the wrecking ball, Witthoefft reassured them that the damage was not irrevocable. 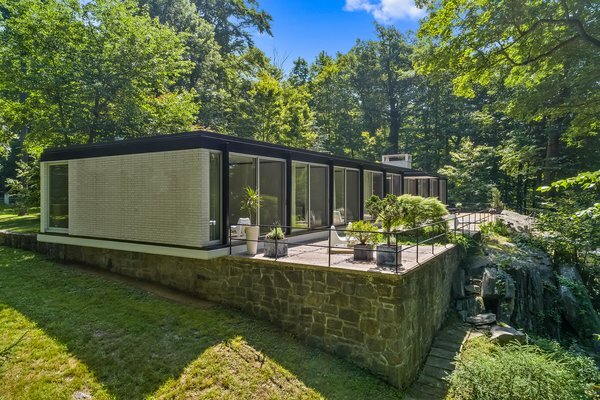 “It was built on solid rock, and the welded steel frame wasn’t going anywhere,” he said.